I don’t know if you’ve noticed but The Emerald Studio Etsy shop has been flooded with new kits!! I’ve been hard at work sourcing lots of lovely new laces, findings kits in my new Latte colour, and a few other little things to make bra making more beautiful! So many beautiful new things that I had to do something so celebrate! I’m going to be giving away FREE SHIPPING!! to one lucky Canadian and one lucky American every Tuesday for the rest of October!! 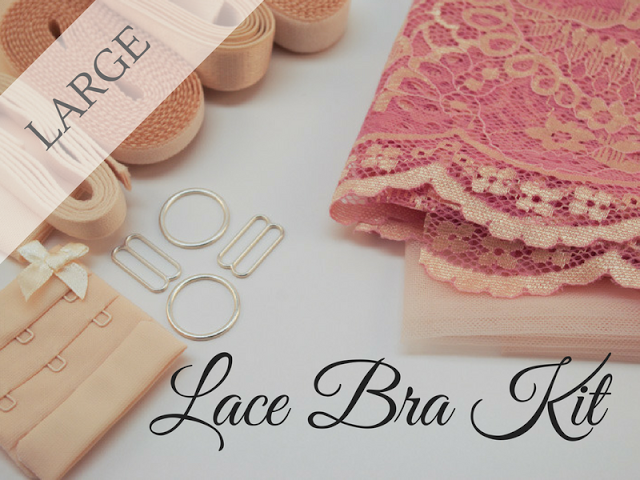 How excited are you for lace this month! I feel like I’ve really gotten away from lace over the last couple months with my love affair with bra tulle, but my love of lace is coming back to me pretty quickly! To help you get excited for lace month, I’m having a GIVEAWAY!! YAY! And it’s for the bra kit that I used to make this weeks bra, my Red Valentine! I’ll have more information at the bottom of this post, so you can see what I did with this lace kit and dream about what you’ll do with it! If you follow me on Instagram @theemeraldstudio you would have seen a teaser for this matching elastic findings! I’m really feeling this red, it just seems so rich and perfect for a Valentine’s bra! I thought I’d try a new cup seaming on this bra, with a three piece cup, and I LOVE it! I think it’s just so flattering and comfortable. It is fairy similar to the Snow White bra, but the angles are a little different and I think that I like this one a little better. I love that this lace is really smooth too, and the gold and red just pop! I love laying my bras out for the photos and imagining the outfit and the jewelry that would go with it I’m imagining this one with a lovely little cocktail dress and gold accessories. 🙂 Do you ever do that? So now that I have you drooling over this beautiful new lace.. it’s on to the GIVEAWAY!! 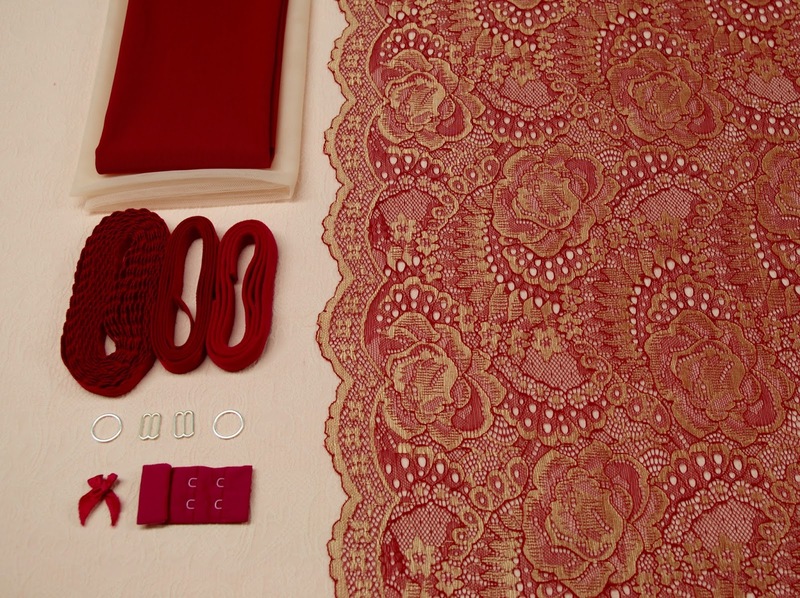 Enter to win a one of my new red & gold lace kits!! The contest is open to everyone and you can choose between a large or small findings kit! So how do you enter this giveaway? 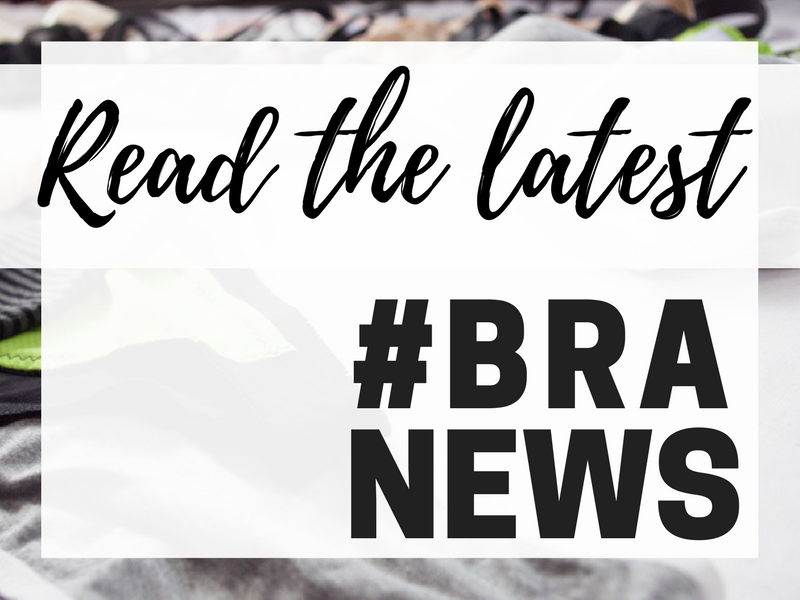 The newsletter is going to be a great way to keep up with the Bra-A-Week Challenge, to get little tips and tricks for bra making and swimwear, and to stay in the loop about what’s happening in The Emerald Studio! All you have to do to enter is to sign up for my newsletter! Do you have any ideas for this kit? What will you do with it if you win? I have another beauty for you today 🙂 I decided after three weeks of bra tulle bras, that I would do a bralette! Because they are such a staple in my bra wardrobe! I used my black bra tulle and fold over findings for this one! 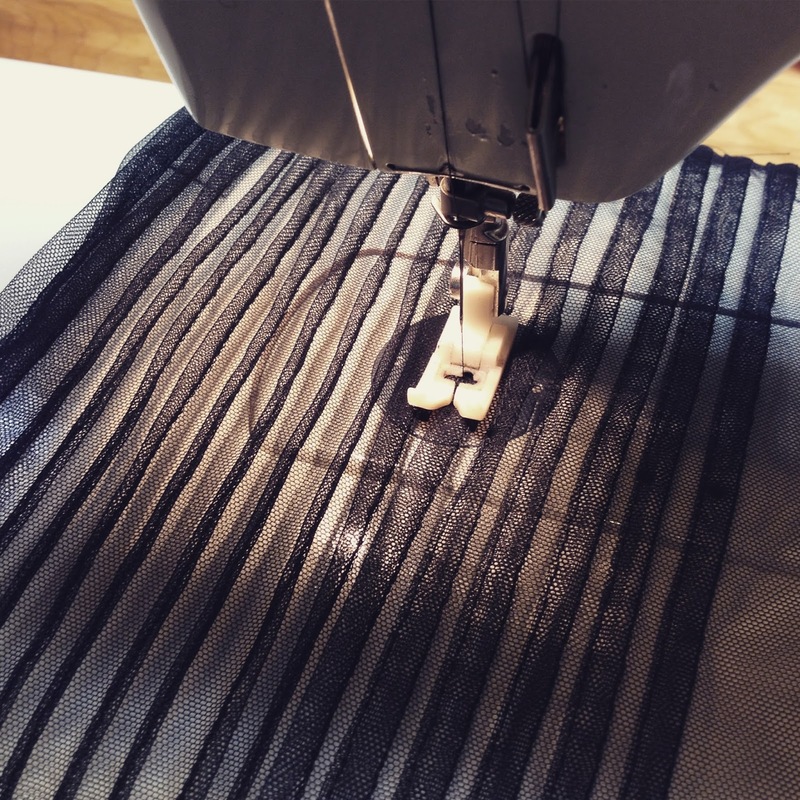 I was loving the ruching from last weeks bra and I was thinking about other fabric manipulations that I can do – *the love affair with the bra tulle continues* – and I thought about sewing these pleats into the fabric, and sewing them down to make stripes with the effect of the layers of tulle. This is the same basic draft as my winter bralette, and the plaid fall bralette that I made for Karin a few weeks ago. It’s amazing how it can completely transform with a new fabric. There is something about this bralette that is so solid but delicate, modern but vintage- I am obsessed! And of course I did my usual favourite, fold-over elastic with the double strap in the front 🙂 And I don’t know what it is about stripes, but they’ve always made so much sense to me, and I LOVE matching up stripes to make chevrons and patterns. First we have two bras from Ashley of Craft Sanctuary! 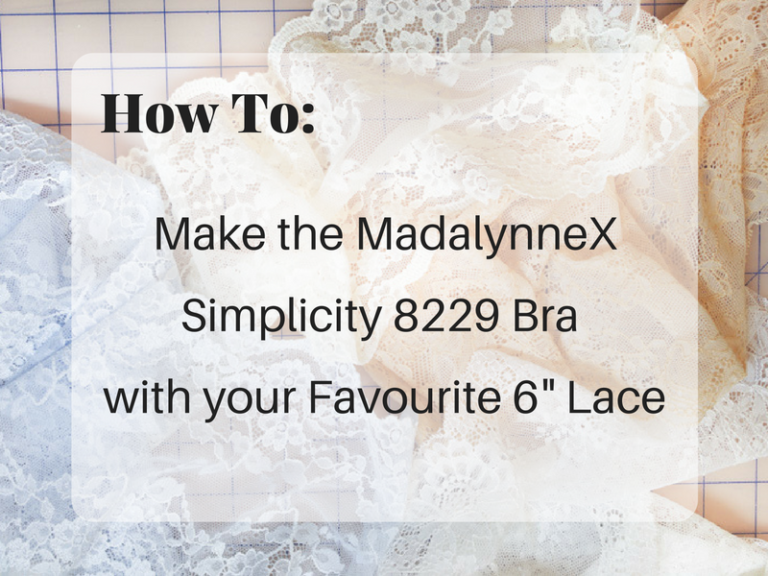 Now unfortunately this turned out to be more of an experiment in fit testing than making two perfectly fitting bras- but there is so much you can learn with every bra! Ashely did a great post all about it over on her blog- make sure to check it out!! Next we have a beautiful bra from Scarlett of Corset Training .Net! Scarlett is the maker of all those beautiful corset patterns I used this past Corset October, and she’s finally coming over into the bra world!! YAY!! She started her bra journey using the Watson Pattern from Cloth Habit, and how pretty is this! Love that lace! I can’t wait until Scarlett’s making beautiful corset-bra sets!! So much amazing to come!! Next we have a bra from Réka of Red Heels! Réka also made her lovely bra using the Maya pattern from AFI. She used foam and a pretty blue floral fabric on the outside! She got a great fit on the first try- only needing a little dart at the side seam, which she also stabilized a bit with some boning. So pretty! Make sure to check out Réka’s post to see more about this beautiful bra! Next we have a very special bra from Karin of Mrs. Weaver’s Finest! This beautiful ‘Black Dahlia’ is a gorgeous mastectomy bra that Karin made for one of her clients. How stunning is this! Karin made this bra using a black embroidered tulle lace over black duoplex and a modified Classic pattern from PUG patterns. And she built two foam prosthetics to fit in perfectly- you would never know this is a mastectomy bra! Gorgeous!!! Make sure to check out Karin’s post and more about this beauty! Next we have a really fun bra from Maddy of Miss Maddy Sews! Maddy made this bra using the Boylston bra pattern from Orange Lingerie, and the Watson Bikini bottom pattern from Cloth Habit. She made it with this super cute fabric and matching lace and elastics- I’m obsessed with this combination!! Maddy made this using her usual pattern alterations- she’s getting to be quite the accomplished bra-maker- and I’m sure her underthings drawer is looking much healthier than before!! 🙂 Make sure you head over and check out Maddy’s post about this gorgeous set! Next we have a very pretty bra from Sofia of Silver Lining Atelier! 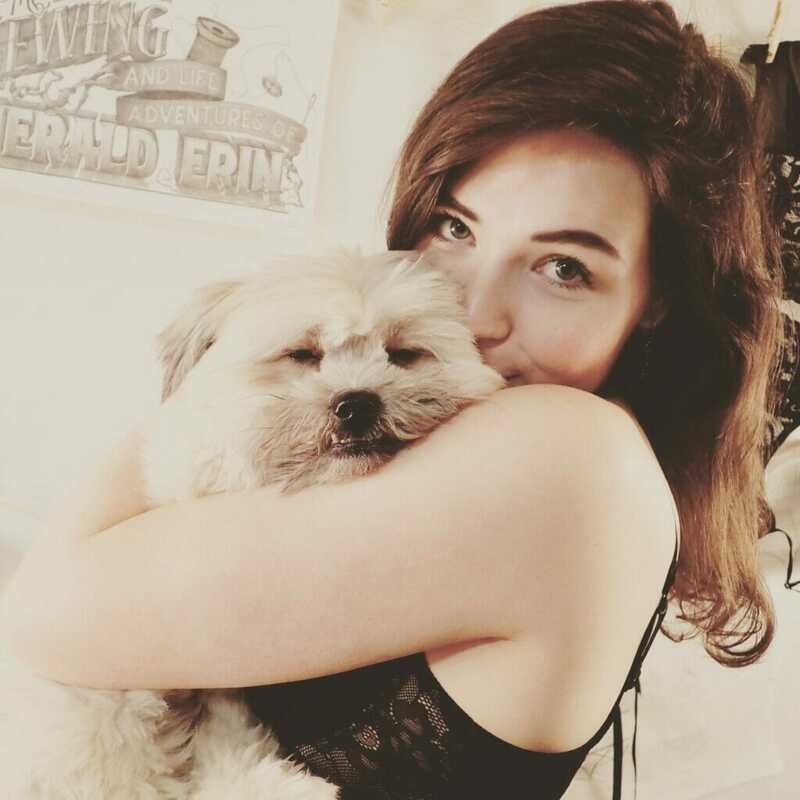 This is Sofia’s plunge bra! She mad this bra using her vertical seam pattern, and lowering the neckline to accommodate a plunge wire! She use really pretty lace, elastic trims and an ivory bow in the middle- so pretty! And last but not least we have a little more colour from Jen of Jensware! Jen made this beautiful bra using the Shelley pattern from PUG patterns, and a lilac duoplex kit with white lace. Such a beautiful job on the stitching and construction!! All I can say is WOW I’m so completely blown away by all these beautiful submissions this week, I’m so happy to be involved with such a talented and creative group of bra-makers 🙂 Go us!! As always, don’t forget to check out the Pinterest board, and pin all of your lovelies over there! And if you’re on Instagram and posting your lovely makes- don’t forget to add in #braaweek!! You can go here to grab a challenge button and don’t forget to send your bra for next week to bra.a.week@gmail.com by Friday for the next Sunday post! This time I wanted to use the blush bra tulle, and I wanted something that was a little less modern and angular than the last couple bras that I’ve made, something that is super pretty, possibly a little Parisian in feel -or at least my romantic notion of Paris 😉 – and just very feminine! So with that inspiration I came up with this! I haven’t made a bra with the Plunge wires in quite a while, and I thought they would be the perfect fit for this style of bra! So, down to the design details, this cup is a three piece cup, with a ruched upper cup piece. To make this upper cup piece, I doubled the length of the upper cup using the standard method of marking every inch of the pattern piece and adding an inch. To get the nice soft ruched effect I used two layers of tulle ruched, over the bottom layer that is the flat pattern piece without the extra added (which I always like to have to maintain the structure of the bra and a guide for basting the ruched pieces to!) To finish the edge, I just used a strip of the tulle for binding- easy-peasy! I love that even with the three layers of tulle, it’s still so sheer. There’s something so dainty and pretty about sheer lingerie! I also love the mix with the black elastics, powernet, straps and bows, it just gives that perfect little contrast of dark to make it stand out. I know it’s quite different from the last two that I made, but I just needed a little bit of a fresh design, something to keep challenging me, and I haven’t done any ruching since the bathing suit of Week 23! I am so in love with this bra, I feel like I need to go off and make the full set- à la Maddy! Maybe a full set for the Black Beauty and Snow White as well! First we have a beautiful lace bra from Karin of Mrs.Weaver’s Finest! 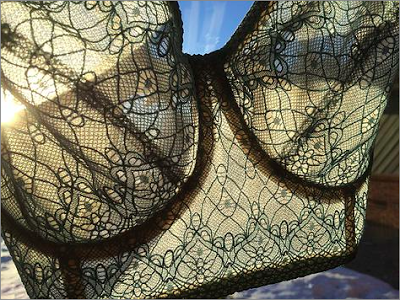 Karin made this beautiful longline, using lace over bra tulle! I asked Karin to test out the bra tulle on her more well-endowed figure, to see if she would get the support and fit that she needs, and I’m so happy to say that she loves it as much as I do!! YAY! Make sure to go over and read all about this beauty on Karin’s blog! Next we have this lovely bra from Sian of Rebel Angel! 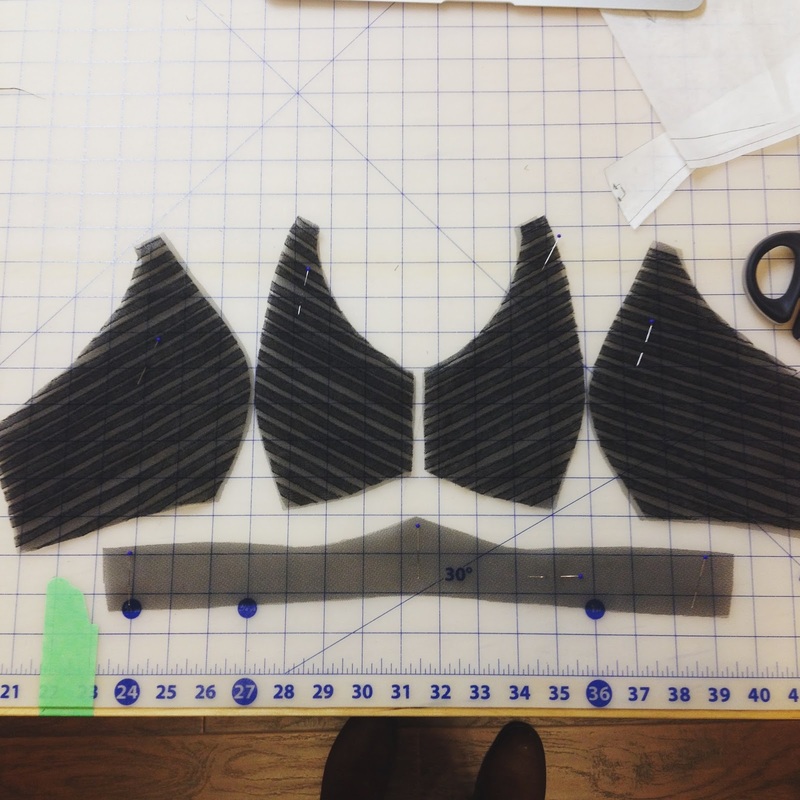 Sian made this bra using the Maya pattern from AFI! She made it up in the beautiful maroon satin, with cut& sew foam and underwires- her first experience making an underwired bra! Fantastic! Sian is now a self-confessed lingerie-making addict!! YAY! I can’t wait to see more makes! 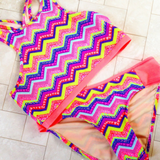 Sian did a great review of this pattern and her experience over on her blog! Next we have another bra from Jennifer of Jensware!! 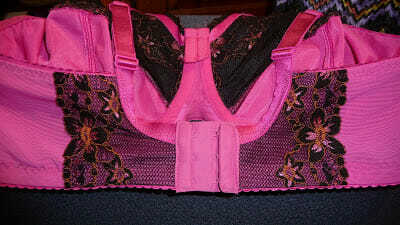 This is Jennifer’s Fuchsia Surprise, because the lace included with her kit was a surprise! With this kit she made a beautiful Shelley bra from PUG patterns, with all the extra modifications that she likes. Here in the back you can see how she likes to reinforce the bra with duoplex, fold her channelling at the top for a buffer against her chest wall, and add some pretty decorative lace to the back band! Great! 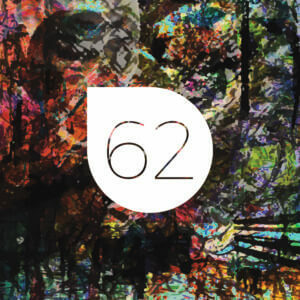 And last but not least we have a beautiful submission from our favourite french man Joël!! 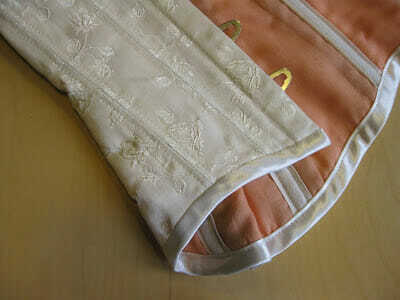 This week Joël has made his lovely wife a corset! And a very shapely corset! I love the peak in the front at the top and the bottom- SO pretty! And the colour panels on the side really add to the shaping effect! Up close you can see how pretty the fabric is, and it looks like lovely lining, and a great job with that binding- so even and done on the machine! Great Job! Love it!!! Don’t forget to check out the Pinterest board and if you’re on Instagram and posting your lovely makes- don’t forget to add in #braaweek!! How is everyone doing gearing up for Christmas? Any last minute sewing plans?